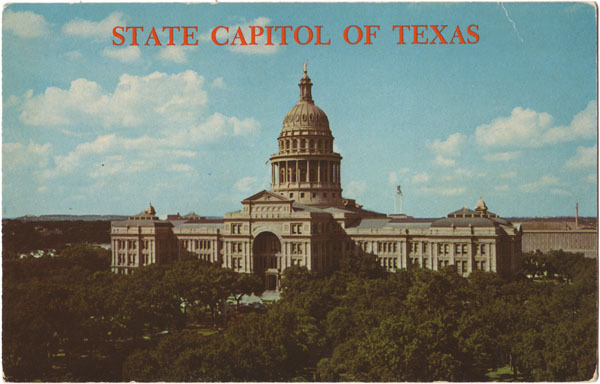 Text on Back: The State Capitol dominates the skyline of Austin, Texas. The building was constructed in 1888 of native pink granite and was modeled after the Capitol in Washington, D.C. In the background can be seen the University of Texas Library Tower.